Andy McNab writes sequel to Bravo Two Zero and Immediate Action: SEVEN TROOP! However, Greymansland was told that besides the above, Seven Troop will cover just about everything in Andy’s life from being badged in 1983 until present times. Awesome! Really looking forward to this book! The other news is that McNab is developing and co-producing a BBC1 drama series based on the army being in Afghanistan called ‘Warrior Nation’. For the McNab fan 2008 seems to become a fabulous year! Enjoy all! Posted: May 30th, 2008 under Andy McNab, SAS, Seven Troop. A few posts back we told you about BBC’s Week of Anger and Andy’s “Kinetic”. If you’ve missed it and want to hear how Andy has been angry half his life, even managed to get paid for it, but finally learned it’s not an effective emotion, go here . Posted: May 28th, 2008 under Andy McNab, Andy McNab Audio, British Army, Special Forces. Divers survive inspired by Andy McNab's book "Bravo Two Zero"
“A British holidaymaker told yesterday how he and his girlfriend survived 19 hours in shark-infested waters after a diving trip went horrifically wrong. Richard Neely, 38, and partner Alison Dalton, 40, drifted for nearly a day off Australia’s Great Barrier Reef as rescuers failed to spot them waving frantically. They tied themselves to each other in their wetsuits and, huddling together for warmth, they drifted for NINE MILES after surfacing too far from the boat they had dived off. Richard said the inspiration for his idea to share his body heat with his girlfriend was former SAS soldier Andy McNab’s book Bravo 2 Zero. He improvised by using a six-metre length of rope from his marker buoy – used by divers to signal the point at which they have gone underwater – doubled over, to tie himself and Alison together. At that point they jettisoned oxygen tanks and water belts to make themselves lighter and enable them to “fin” – a streamlined form of swimming. Every half an hour, they huddled together, wrapping their legs around each other and pressing their stomachs together for warmth through their wetsuits. Alison, in particular, was feeling desperately cold. Posted: May 25th, 2008 under Andy McNab, Andy McNab News, Bravo Two Zero. A little while back we wrote about a new ITV4 program “Andy McNab’s Tour of Duty”. We now know that this program will air Tuesdays from 10th June at 10pm. Posted: May 25th, 2008 under Andy McNab, Andy McNab News, Andy McNab's Tour of Duty, British Army. 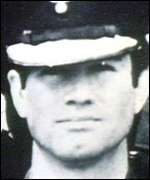 “POLICE investigating the murder of SAS Officer Captain Robert Nairac in Northern Ireland more than 30 years ago arrested a man in South Armagh today. Posted: May 20th, 2008 under Andy McNab News, British Army, Northern Ireland, SAS. Have you got true male skills? An American magazine has come up with a list of 75 Skills Every Man Should Master. But in today’s politically correct climate, what do women really want of their ideal fella – and what would men look for in their perfect partner? Here’s our scorecard to see how you rate on your other half’s wish-list – together with the views of two star Sun writers. There’s plenty of stuff men can do already, like put up shelves and unblock a sink. That’s our domain. There’s other stuff we SHOULD do for an easier life, such as remembering birthdays and knowing our partner’s clothes sizes. Then there’s the stuff we CAN do but it suits us not to – like lifting the loo seat or hanging up towels. But cleaning the loo or using the washing machine are things we should do once – so badly that we are never asked to do it again. And please note that men can NEVER ask for directions, watch any sport dispassionately or fail to extract the maximum sympathy from any illness. And we can never accept the need for more than one pair of shoes! Posted: May 18th, 2008 under Andy McNab, Andy McNab Articles, Andy McNab News.